You can only advertise Spanish Properties on PropExtra if you are a registered Estate Agent in Spain. However, we will shortly be opening up the portal to the general public so that you can advertise your property for free. Register Now and we will inform you when this becomes available. PropExtra is the customer portal to our sister product...ReSales Online. ReSales Online is a property and customer management system for estate agents. 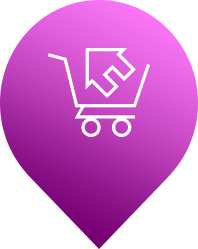 Once you load your properties into ReSales Online, you can publish them directly to the portal. It gives you access to a limited version of ReSales Online. You have all the features of the system except for the ability to network or share properties with other agents. This option has a subscription fee. It gives you access to the full version of ReSales Online, allowing you to network and share properties with other agents. As the portal is new, google (and other search engines) do not yet know about us. Therefore, we will be undertaking a marketing campaign in 2017 to push this portal to potential buyers. We know it will take some time until we start delivering Leads to your business. It is for this reason that we ask for your patience, until we build the brand. We are confident that people will love the new portal, due to its clarity, ease of use and the many unique features it has to offer. Sign up for PropExtra and start benefiting today!